What’s in a company name? A lot if you are starting a brand new business. When it comes to small business success the right business name can make your company. Using a business name generator can help you find the perfect brand name, as well as domain name, for your business online. Sometimes it’s easy easier and straightforward, especially if it’s just your name + the industry (e.g. John Smith, Plumber). More often it’s hard work coming up with the right business name. When you have decided on the right idea for your business, there are lots of ways business names can be chosen. One way is to hire an expert consult. A naming firm can help you create your brand’s name plus they are experts when it comes to trademark laws. However it will cost you. Another, and cheaper, method is by using online business name generators. Using a company name generator is the perfect online tool when brainstorming names, as they will give you plenty of ideas. As you’re most likely going to build a website, it’s a smart move to think about the business name and domain name at the same time so they’re strongly related. This helps to build a more memorable brand. Here are some of the best free business name generators available. Cool Name Ideas offers 3 domain name generators designed for businesses, blogs and products. 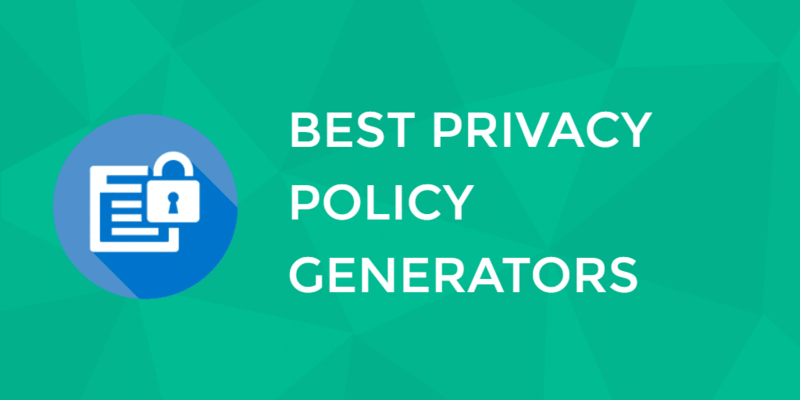 Enter your keyword and select options to deliver thousands of relevant name ideas. The returned names get checked for domain availability and appear simplest shortest first. Go to Advanced options to check different extensions including .com .net .org and also the main ccTLD. You can also select where your keyword appears in the name and how long your name should be. Finally, click on the name ideas to double check both the domain and Twitter name availability. 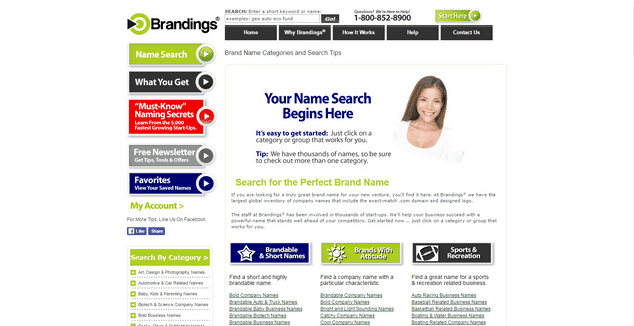 Brandings is one of the best business name generators. The main reason is that it has lists of lots of industries, hobbies, sports, fun names, scientific names, product names, hotel/motel names, garden names and much, much more. It also breaks down the main categories into sub-categories to make your job even easier. Once you finally choose a category and drill down, it will offer you numerous potential names to choose from. The site also shows you the cost to register the name and evaluates reasons why the name will work well if you select it. This site goes much further than most when it comes to choosing business names. It contains articles that explain what the top 5000 start-ups have in common. That information is pure gold when it comes to generating the perfect business name. Shopify’s business name generator is very easy to use. You simply enter a keyword and then search. The screen will light up with possibilities that may, or may not, be suitable for your needs. However, it’s generally easier to come up with a good name when you have so many potentials in front of you than it is to sit down and scratch your head because a blank piece of paper doesn’t help you. Some of the names offered will also show you a font design and/or a logo to help you choose something unique without getting stressed about it. The site assesses each option for mass appeal and potential recognition. Remember to be smart, consider your domain name at the same time, and make a short list before finally deciding what will best suit your needs. Names4brands offers you a few tools to help find the right business name. When it comes to deciding the number of words in your business name, branding suggests that two words is the ideal number. This doesn’t mean you MUST have two words. It’s just a factor to consider. You can select from 18 languages, the letter each word should start with, how many words in the name, random names and various other options, all designed to help you create the best possible name for your business. You also can find a matching domain name through this site and then check for availability. FreshBooks business name generator is a good tool that comes up with loads of suggestions, the tool generates business name ideas relevant to your business and (which is a really good feature) relevant to your industry. Don’t let the name fool you. This site isn’t a basic generator. Instead, it offers you categories and subcategories for you to choose from. Once you have filled in the various drop down boxes, you’ll be offered a number of potential business names. You can also choose from a multitude of options such as hotel/motel, medieval names, street names, fantasy names, a few different fantasy suggestions, criminal history, tarot and many others. Play around with some of the suggested groupings that relate to your business until you find the one that’s perfect for your purposes. Rhymer is a different business name generator in that it uses various forms of rhyming. It still does the work for you but it offers names you perhaps hadn’t considered, even after trying other sites. There are six different rhyming types to choose from. You also see the top 10 rhyming words and can choose rhyming words starting with any letter of the alphabet. If you want a more comprehensive version of Rhymer, you need to pay a small one-off fee for the privilege. BrandBucket offers you lots of choices that have been pre-selected by a team of experts from around the globe. You can choose “invented” words, keywords or “all” words and then you’ll see a range of potential names for your business with prices to suit all budgets. BrandBucket has over 28,000 names to choose from so, theoretically, you should be able to find one you like. As with most business name sites, you can also select a domain name. It’s wise to do both at the same time because you reduce the time you have to spend on this critical task. Namerific works slightly differently to the other business name generators already covered. You can choose your category, how many letters, preferred keywords and how much you’re prepared to spend to buy a name. Once you do the search, you’ll not only get a lot of possible options but a font and logo design will also be supplied (which you don’t have to use, of course). You can also read further to see how each name has been chosen which gives you a better idea of whether you want to use it. If you want to go ahead, the site tells you how to buy the name you want. Panabee offers you a few ways to find a suitable business name. Start with your two keywords and then look at the results. You may be lucky and find something straightaway but, if not, you have other ways to expand your search. You can use this site for a domain name as well, so you cut your searching in half. Try customizing your list to check different extensions, variations on your keywords and comparing suggestions via social media to see what’s available and suitable. Try different TLDs to make it something that’s more country-specific. You won’t know what you’ll find until you look. Wordlab gives you a number of business name generators to help drill down to your chosen niche much faster. Whether it’s a restaurant, a team, some sort of linguistic challenge or various other styles you wish to use, Wordlab has it all. You don’t have the versatility of options to input before searching but perhaps you would rather just search and see what comes up. If so, then this site is ideal. If you want to combine a choice of business name and domain name, this is ideal. Enter your chosen one or two keywords and watch the results magically appear. You’ll see all sorts of combinations with various endings that you may wish to consider. Maybe you want to use your first and last name as your business name. If so, you can check availability for multiple variations and see if something stands out. After all, using your name as your business name engenders a trust factor people will appreciate. Naming is a handy site for finding that ideal business name because you enter your keyword and then choose from several scroll down boxes to help identify potential candidates to assess. Options include suffixes and prefixes, various forms of rhyming, the number of syllables you want. You’ll potentially get 10000-20000 choices each time you set your parameters. You only want one so make a note of a few of the better names so you can consider them more seriously. A business name is a critical decision so take your time and get it right. This is not a generator tool but Thesaurus.com is an indispensable tool when brainstorming ideas for a business name. You can use a thesaurus to find synonyms if you already have an idea but if you feel like the wording or the name isn’t quite there yet. These company name generators are far from being the only ones available. There are loads more of them online, and they vary in the degree to which they help you with your selection process. However, the one thing they all have in common is that they provide you with plenty of names that you can consider. Take all the time you need to make this decision because it will be permanent and you want to get it right from the start. You certainly won’t want to decide in a year or two that, after all the work you do, that you feel like changing the name. That’s crazy because you’ll lose all the hard work you have put into building the business around that name. Remember you also need a domain name so consider availability of domain names before making your final decision, permanent decisions. You can add a new name generator: 1idea1name.com (http://1idea1name.com). It’s a web app that allows you to generate creative business names for free. And what’s great, thanks to 1idea1name, you can check if your name is available in different databases and different contries. 1idea1name is a logo and business card maker too.